Back in that supermarket a few days ago, I again found myself driven to taking a thumb through the latest edition of QuackRag What Doctors Don’t Tell You, whose unscrupulously permissive advertising policy is being systematically exposed by The Nightingale Collaboration. Though I didn’t buy the rancid rubbish, I alighted on a small piece entitled ‘Homeopathy is more than placebo’, from which I noted the reference cited as voucher for that statement. From BMC Cancer, no less. I’ll have a look for this, I thought. Which, thanks to the people’s friend that is Open Access, didn’t take long. The Research article in question is entitled ‘Classical homeopathy in the treatment of cancer patients – a prospective observational study of two independent cohorts’. ‘Classical’? Which means what? Original? Real? Authentic? As opposed to… progressive? Odd qualifier, I frowned, immediately noting also that the title suggests description of a study methodology, but with no conclusory statement regarding the relative efficacy of homeopathy and placebo. So, what’s going on? 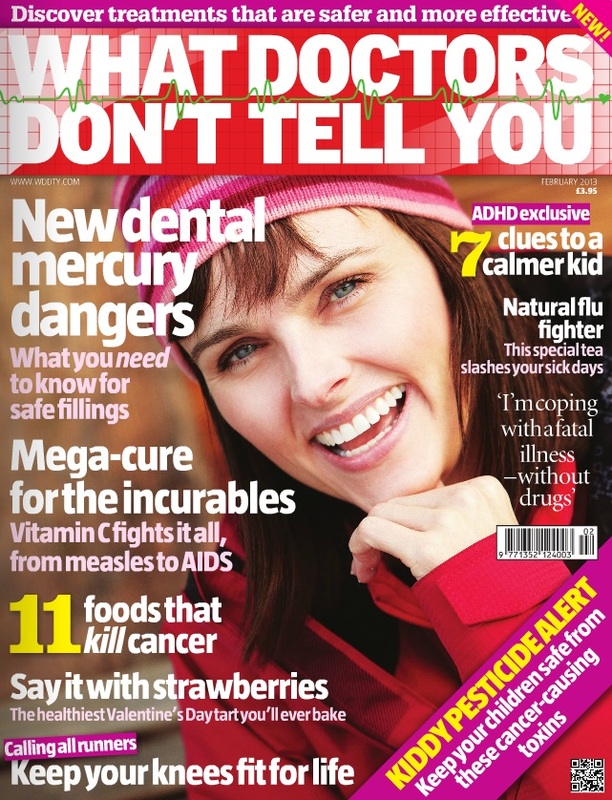 Is WDDTY mis-appropriating a piece of research? Or is it citing a piece of ropey alternative ‘research’? Or is there, indeed, something to this (which would be at odds with much of the promotional gimmickry to which WDDTY resorts)? Assumptions can be problematic: time for a print-out and red pen. The Background provides early warnings, commencing with a justification seemingly based on the popularity of homeopathy, though whether this is justification for its use, or for this study, I’m not certain. There is prevarication somewhat as to whether homeopathy is clinically effective – ‘a matter of heated debate’ – and selective citation of a conveniently limited set of references in order to provide an illusion of ‘balance.’ I don’t know whether or not the authors deliberately obfuscate here, but let’s be clear: there is no debate concerning clinical effectiveness. This is a media-propagated fallacy, a pedlar’s bandwagon jumped on by homeopaths aware that appealing to the ‘controversy’ keeps the ‘debate’ in the media, and hence the matter unresolved in the sympathetic public eye. Homeopathy is not clinically effective, in that it has no effect on organic disease. So, as we’re talking cancer, it does not cause tumours to shrink or disappear. And anybody who flogs its remedies on such basis is an irresponsible charlatan. The question then, properly put, is not whether homeopathy is clinically effective… but whether it has an ‘effect’ on patients in a clinic – in this case, cancer patients. And this, I think (I hope), is actually the question that the author’s of this study attempted to address. In writing, ‘We wanted to study the clinical effects of classical homeopathy’, surely they mean ‘We wanted to study the effects of classical homeopathy on patients in a clinic’. Indeed, they state that, ‘The effects of homeopathy on quality of life in cancer patients has been studied very rarely’, a statement that this report is indeed of a study of the effects of homeopathy – not on disease – but on ‘quality of life.’ It is not about homeopathic ‘remedies’ and organic disease; it is about psychological/psychotherapeutic well-being. It is thus not (for reasons I will come back to argue later) specifically about homeopathy at all. I do not/cannot dispute the improved ‘quality of life’ reported by cancer patients receiving some or other ‘alternative’ treatment to complement (prior or ongoing) conventional adjuvant therapy (ie chemotherapeutic drugs, radiotherapy, or other supplemental treatment following surgery). If the patients themselves report such, then who is to argue? They’re hardly going to lie about feeling good when they feel lousy, are they? Attentive care does make people feel better. This has nothing to do with the ‘remedies’ they are administered – not physiologically anyway. Yet the authors seem to be at pains to include attentive care under ‘classical’ homeopathy (explained by Rose Shapiro as the prescribing of a single remedy according to individual presentation or history), with critics being wrong to focus on the implausibility of potentised diluted remedies (ie, shaken water), when this is not classical homeopathy in totality. Such detractors miss the point that ‘classical’ also denotes the ‘individualisation’ that matches a patient to a continually adjusted ‘remedy’ regimen, according to detailed interviews recording the patient’s case symptoms, personality traits, social support (and what colour socks they wear on a Tuesday, or what not), etc. Kind of like a clinical horoscope. Hence, in one fell swoop, the double-blind Randomised Clinical Trial is rendered inapplicable, inappropriate; it is impossible to conduct such a trial of homeopathy proper, as (homeopathically-treated) patients, being different individuals, cannot be randomly combined into a group for objective measure. If a RCT only concentrates on the pilules dispensed for a specific ailment, and those pilules turn out to be no more beneficial than placebo, then that trial is invalidated because it has not taken into account the individualisation of subjects – which, as a RCT, it cannot do. Brilliant! Therein lies the circular logic of the homeopath’s justification for rejection of the assertion that homeopathy is no more effective than placebo. What is necessary, the paper argues, is that because cancer (or other serious chronic disease) patients who seek out homeopathic care have preferences which exclude willingness to participate in a RCT, then any study is obligated to only consider treatments actively chosen by those patients ‘… since free choice is part and parcel of a potentially important therapeutic step.’ This would seem self-fulfilling – the patient will ‘feel’ better, because they have been empowered through choice. Can’t fail, can it? (Though I am very quizzical of the use of the word ‘therapeutic’ in this context.) Control is impossible. Oh, a point to note, if you are not already wondering, is that this homeopathic treatment was offered at homeopathic clinics, along with, or following, conventional cancer treatment (90% of those opting for homeopathy did so to complement ongoing adjuvant treatment; only 10% went fully alternative, discontinuing conventional treatment). This presents limitations: for direct ‘matched pair’ (homeopathic versus conventional) comparisons, patients of comparable case history, disease progression and prognosis are necessary. And these could only be recruited from palliative stage care groups – that is, patients no longer receiving adjuvant treatment. However, the large differences between patient groups limited formable matched pairs to a number deemed insufficient for meaningful study. Therefore, the results are those of a longitudinal observational study of all consenting cancer patients, without separation of adjuvant and palliative stages. It gets messier. From the (to me) confusing second paragraph of the Discussion, we are informed that the homeopathic versus conventional group comparison is further complicated by the fact that patients receiving homeopathy were more severely affected and, for some reason, delayed commencing their care until four (diagnosis of tumour progress) to seven (initial diagnosis) months after those in the conventional group commenced theirs. This is given as explanation for the homeopathic care group having a higher rate of prior adjuvant (chemotherapy/radiotherapy) treatment. Like the shy questioner in a seminar audience, I feel I’m obtusely missing something obvious here: Why the delays? Why the higher rate of prior adjuvant treatment in the homeopathic group? Presumably, these, and other, confounding factors were corrected for during the analyses of the data generated from the ‘… patient self-reports, taken at study entry and every 3 months over the course of one year…’ – a year in which ‘… a larger proportion of patients under conventional treatment received chemotherapy or radiation…’. Is it unwarranted to question here the validity of those self-reports? Chemotherapy/radiotherapy is often uncomfortable, painful, miserable. It actually makes recipients very ill – and feel it for a while after – and consequently likely (one might not unreasonably predict) to tick low for ‘quality of life’; a score likely (again, predictably) to increase as side-effects fade with time following the treatment. So, if at the commencement of the study more time had elapsed since your last course of chemo/radiotherapy, that lengthening interim will affect how you score yourself. Particularly if you’ve felt empowered by exercising the option of ‘alternative’ care; and further opting, as did a much higher number in this grouping (with a higher rate of prior adjuvant treatment), for no more courses of misery-inducing chemo/radiotherapy. Couple that with lots of personalised attention and follow-up phone consultations, at a time when you perhaps feel vulnerable and alone, then you are bound to experience a sense of improved well-being (however marginal; however influenced by the ethnographical intervention of being asked how you feel – because the ‘presence’ of the attendant, attentive observer affects the ‘behaviour’ response). Now, this paper was published in a respectable scientific medical journal and so was presumably peer-reviewed by academic types more suitably qualified than I to assess the corrections for confounding factors, the validity of the scoring, and statistical analyses thereon. As I stated above, I don’t dispute that there is a significant improvement in quality of life or mental fatigue (‘chemobrain’?) experienced by those receiving complementary (‘homeopathic’) care; it doesn’t surprise me. Which brings me back to my starting point on WDDTY and its citing of this paper as evidential argument that ‘Homeopathy is more than placebo.’ This now reads as an ambiguous statement, because it is unclear whether or not it refers to the administering of useless shaken water and sugar pilules (and in case you consider this unfair of me, be aware that WDDTY has shameless form on this kind of thing); or whether it is alluding to the other ‘aspect’ of homeopathy, the individualised care, as this study considers – in which case the statement reads as though accepting that the water and pilules are merely placebo; and misses the point that this study does not – because it cannot – evaluate against placebo. One is left to conclude, therefore, that Bryan & Lynne, or whichever lazy lackey to whom they delegated the task, failed to read the paper they refer to. Or deliberately mis-appropriate it. Because by citing it, WDDTY shoots itself in the foot. How so? Because the paper, in its emphasis on ‘classical’, delineating homeopathy into two separate components (‘It is important to notice that we have not studied the effect of homeopathic remedies, but of homeopathic care’) leads to the conclusion that there is no such thing as homeopathy at all. The homeopathic remedies themselves are no more than placebo; the homeopathic care is simply… care. Homeopaths have no monopoly on claiming origination of the provision of good care (palliative or otherwise), which ought to be separated out from homeopathy and its claims to treating the organic basis of disease. It doesn’t go without saying – it needs to be said. Either the remedies have a biochemical, physiological effect, or they do not. We know they do not… because they contain no active ingredient. If, then, they can only ‘function’ as a ‘psychological device’, the question as to whether or not they are placebo is not irrelevant. It is what they are. I read this excerpt as arguing that ‘homeopathic’ care ‘works’ – in part – due to the anticipation of its remedies; and conversely, that those remedies can only ‘work’ as part of an overall ongoing individualised care process engendering that anticipation, leading inevitably to improved scores on subjective self-reported surveys. (Have I got that right?) Thus (conveniently for the pill-peddling homeopath), it is impossible to extricate and evaluate the discrete remedies relative to placebo in a properly controlled RCT – thereby shielding them from scrutiny. But if homeopaths use such interpretation as bullet-proofing their case that the RCT is inapplicable, then he/she cannot conclude – as WDDTY would have you – that Homeopathy is more than placebo. Actually, this realisation, that any beneficial effect wrought by homeopathy is a consequence of the care and not the remedies, is nothing new. Although the recent not dissimilar findings published in another peer-reviewed scientific/clinical journal were apparently deemed insufficiently relevant, one might wonder why emphasis of this point in the accompanying editorial by Edzard Ernst isn’t cited. Ernst argues that a deficient empathetic care element in mainstream medicine could do well to adopt the therapeutic care boasted by homeopaths. But also that we must be honest with patients about the relative effectiveness of that therapy and any medicines administered. And in disregard of (the anticipation of) the claims made of homeopathic remedies – homeopathic care becomes simply… care. Is it not through its invention and administering of implausible counterfeit remedies that homeopathy has created its own care industry and perpetuated the myth of its validity? Because orthodox medicine is (relatively) ‘bad’ at this (because it doesn’t have the time), the homeopathy alternative seizes the niche opportunity to present itself as the ‘good.’ We know that the ‘remedies’ themselves are useless, and that any effect is merely suggestive. If homeopaths could come clean on this, reject their nonsense shaken water and sugar pills (and forget the reaching pseudoscience), and concentrate on what does have an effect – the care – then we might envisage a fuller integration of a caring clinical sub-branch (re-trained nursing and counselling? ), of benefit to all patients, and reclaim doing good from deluded do-gooders. But the remedies are clung to staunchly; and hypocritically: when observation fits, numbers are irrelevant; when observation doesn’t fit, numbers are insufficient. Because without them, homeopathy is nothing. (Indeed, is not the term ‘homeopathy’ itself coined from its remedial irrationality?) Homeopaths (have to) believe the water and pills work; like other belief systems, homeopathy relies on something miraculous (and also appeals to the ‘spiritual’). But without the promise of these remedies entwined with the attention, the individualising component is revealed for what it is – care – and the homeopath is rendered redundant. I posit (unoriginally) that those opting for homeopathy (providers and recipients) do so in the belief that it (will) make(s) them feel better, and so will be inclined to respond to questions as to their quality of life and (‘spiritual’) well-being in a more positive manner. Understandably, then, like other strongly held beliefs, homeopathy does not cope well with rational criticism. As John Diamond empathised, accepting and admitting that it is all useless, invalid knowledge would be impossibly difficult; the implication that it was all an unfounded waste of time taken as personal insult. And so, it must respond: presenting itself as ‘good’ through retaliatory propaganda painting impersonal-uncaring-vested interest-toxic-big pharma-mainstream-conventional-orthodox-medicine as the oppressing devil. Confirmation bias for the homeopathy zealot; page-filling material for publications like WDDTY. I like the idea of exploring the alternatives to “classical homeopathy”. Baroque homeopathy? Renaissance? Romantic, that works. New Wave, too. I shall use “baroque homeopathy” for anything from Hahnemann’s time and “atonal homeopathy” for the craziness that crept in during the latter years of the 20th Century. Well it cured me of my cancer and plenty of other people besides. Sorry the truth hurts! Ah, anecdata, and pretensions to ‘truth’. Typical. Lynne McTaggart has a history of mangling research to suit her own ends. My first ever post was on her claim that she’d magically saved lives in Sri Lanka. The data actually showed that deaths had gone up! As usual, Lee, I couldn’t help nodding in agreement with what you’ve written while I read it. I have some additional points to add, to complement (hehe!) yours, so here they are. I don’t understand these quality of life measurements. I am, of course, speaking from a privileged perspective, in that my definition of ‘quality of life’ and a cancer patient’s definition of the same are bound to be dramatically different. But that difference, then, would directly speak to the difference in efficacy of these alt-med therapies between, say, my taking them and a cancer patient’s taking them. It is likely that the creation of the feel-good factor is the goal – which would account for some of observed efficacies of alt-med therapies, as well as of non-conventional approaches like Therapy Dogs and so forth. Which means, as you have pointed out amply, there is no specificity of the treatments. An important point regarding the randomization. Patients were not randomized in a blinded fashion. They chose homeopathic or conventional treatment. At entry, homeopathy patients were younger, more educated, and were more likely to be white collar workers or in self-employed jobs. Coming as they were from socieities in which homeopathy is accepted as a valid method of treatment, is it any wonder that the homeopathy arm would do better in the quality of life surveys? The capacity of human beings to delude themselves is almost endless. This is one of the reason why these subjective estimates are very problematic. I’d have loved to see some diagnostic and prognostic information in the paper, such as, say, tumour status and progression, histopathology data, and so forth. Another question jumps to the mind. What was the placebo? I mean, after the randomization, in order to judge the efficacy of homeopathy over placebo, the patients would have to get exactly identical treatment (including interactions, conversations and palliative care) except for the variable being tested. From my reading of the paper, it appears that it was only homeopathy or no homeopathy. The authors refer to a book and a paper for the treatment regimens. Unfortunately, it is beyond my capacity to read non-English text. I couldn’t even find the abstract of the paper in PubMed. Finally, it is good that the authors have consciously refrained from comparing the homeopathy arm and the conventional arm. Else, the consistently higher proportion of death in the homeopathy arm (I cannot speak to the statistical treatment, not having the raw data at hand) would have required some explanation. So, overall, even if the authors say that they focus on ‘homeopathic care’ rather than on ‘homeopathy therapy’, this paper doesn’t seem to address many of the pertinent questions. No, I don’t understand either. And ‘Spiritual Well-Being’? What is that? Is the type of person who buys into homeopathy more likely to be one who describes his/herself as ‘spiritual’? So, if you don’t, then a questionnaire as to your spiritual well-being is likely to be pretty nonsensical, I would have thought. How does it differ from the others on ‘QoL’ and anxiety/depression (except for being even more subjective…)? But then, as I acknowledge, presumably the scoring, correction, and peer review would (ought to) take this into account. I’m asking genuine questions here. No, patients were not randomised – they couldn’t/wouldn’t be. The placebo would appear to be the ‘homeopathic care’ in a test against no placebo (conventional care). In this regard, the placebo is more effective than none… probably what WDDTY has latched on to. But that actually means nothing (because we know anyway that placebo does this); it doesn’t show that homeopathic care is ‘more’ than placebo – because it can’t. But that is what WDDTY‘s line reads.